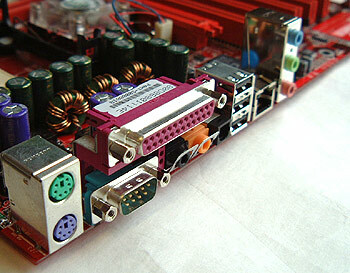 Red is the colour of roses, fast cars, and in this case an i845PE motherboard from the folks at Iwill. 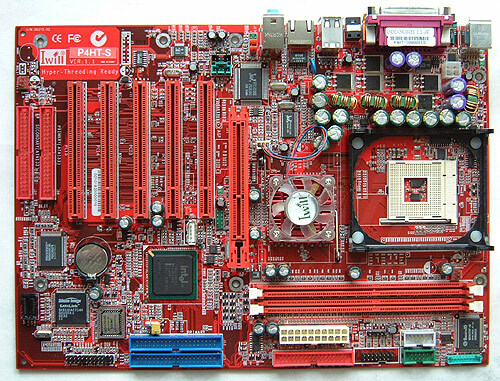 In celebration of the overwhelming use of the colour red on this motherboard, we here at PCStats.com just felt compelled to write this entire review in red. Red, red, red! IWill want to catch your attention as you browse around the store shopping for a motherboard, and by colouring the PCB this bright colour they have built one of the flashiest motherboards around - I mean even the PCI and AGP slots are red! Based on Intel's i845PE chipset which supports 533MHz HyperThreading Pentium 4 processors, the P4HT-S offers a good value to consumers looking to move up to speeds of 3.06GHz now or in the future. Hyper-Threading is a technology which has remained dormant in the Pentium 4 processor for a while now, and only with Pentium 4-HT 3.06GHz processors has Intel decided to finally turn it on. In the most basic of explanations; Hyper Threading enables one processor to be seen by the operating system as two - consequently increasing performance in some types of applications. If you turn on Hyper Threading in the BIOS (you can also disable it if you want) and look at CPU usage Meter under "Task Manager" in Windows XP or Windows 2000 you will mysteriously see two processors instead of just the one chip physically installed in the motherboard. There are many good articles on the web right now which breath insight into what applications benefit from Hyper Threading, and which programs actually take a performance hit. If you are considering an upgrade to Intel processors with this technology it would be a good idea to do a little investigating first, top of the line Pentium 4 processors are still quite expensive. Looking down at the P4HT-S we find an on board 10/100 NIC, on board 5.1 audio (AC'97 codec), IDE RAID, Serial ATA RAID, memory stick and smart card headers and five PCI slots. The two DIMM slots support up to 2 GB of PC1600/2100/2700 DDR RAM, and the board supports any current Socket m478 processor of 533MHz or 400MHz FSB.